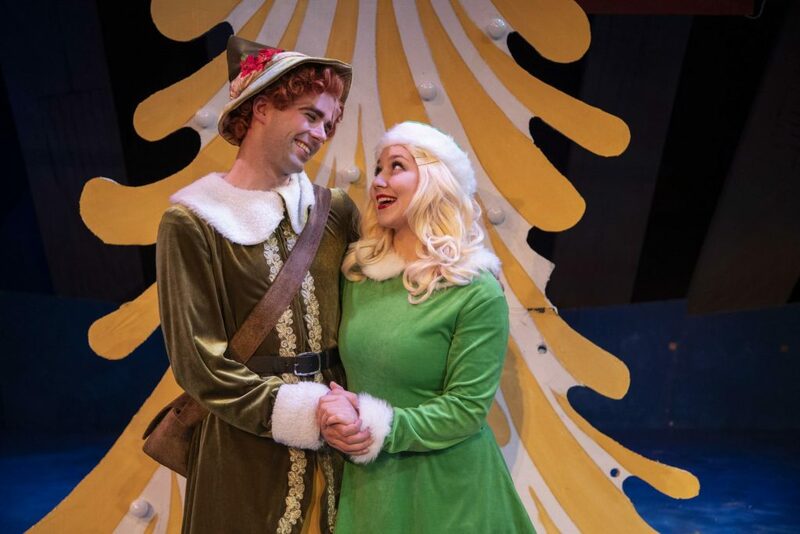 With the holiday season upon us, Spokane Civic Theatre is gearing up to present the Northwest premiere of “Elf,” a musical adaptation of 2003’s beloved Christmas film. With music by Matthew Sklar, lyrics by Chad Beguelin and a book by Bob Martin and Thomas Meehan, the story begins with Buddy the elf’s (Seth Flanders) realization that he is in fact not an elf. Slightly shaken by the news, he goes to find Santa (Kim Berg) who explains Buddy’s origins. Several years before on Christmas Eve, the then recently orphaned Buddy had crawled into Santa’s bag of toys and stowed away to the North Pole. When Santa and the elves find the child they decide to raise him. Buddy grows up full of Christmas spirit, happily believing himself to be an elf, regardless of his less than elf-worthy toy making skills and significant height difference. Santa explains that Buddy’s mother died shortly after his birth before she could tell his father she had ever even been pregnant. His father, Walter Hobbs (David Hardie) is still living in New York with his new family. Horrified to learn that his father is on the naughty list and that his half brother (Aiden Else) doesn’t even believe in Santa, Buddy sets off for New York determined to bring the spirit of Christmas back into their lives. Like most film-to-stage play adaptations, “Elf” shares the film’s theme but departs from the plot in a few areas, taking a number of liberties with character changes and settings. 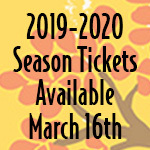 The added musical numbers, festive costumes and live performances give the musical its own sort of magic and make up for any differences between the stage play and film. The story of “Elf” seems especially suited to musical adaptation with its whimsical settings and themes. “It’s already got the elements – a little bit of magic and lots of fun, larger than life characters that are always fun to watch on stage where you could almost reach out and touch them instead of just seeing them up on a flat screen,” Doyle-Lipe said. While the story’s tone remains appropriate for stage adaptation there were still difficulties along the way, the great majority of which revolve around the restrictions that come with building sets and scene transitions. “The staging has been tricky. That’s the real disadvantage of going from a movie to a play,” Doyle-Lipe said. In the movie, Buddy travels all the way from the North Pole to New York through a wide range of climates and settings all in the span of a few minutes. But in a stage play where each of those settings would have to be stored and moved around backstage during shows in the same amount of time, a similar kind of montage becomes a herculean task. Losing a few settings, however, does very little to dampen the mood and message of this cheerful, family-friendly musical.